Dental Emergency? Call Scripps Ranch Emergency Dentist Now! A dental emergency can take many forms and often occurs when you very least expect it. Unlike medical emergencies, it can be difficult to determine what exactly qualifies as a dental emergency and what requires immediate treatment. 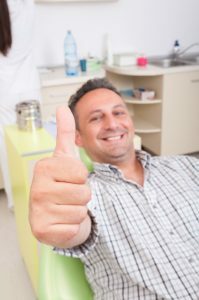 As an emergency dentist in Scripps Ranch, we are here to help you understand the most common types of dental emergencies and how you should react to each. How you respond to the situation and how quickly you receive dental care has a large impact on the outcome of the emergency. With prompt care, we are often able to prevent additional damage from occurring. As a result, we are likely to be able to restore the tooth’s health and function. Dental emergencies can take all forms and don’t always require an injury to happen. In some cases, a dental emergency can result from a current dental problem that become significantly worse, while other emergencies can happen without any apparent cause. No matter the emergency you’re facing, as your emergency dentist in Mira Mesa, we have the information you need to know. Knocked Out Tooth—Among the most common and frightening dental emergencies is having a tooth knocked out. A tooth can either become fully knocked out or dislodged, often due to trauma. If your tooth has been fully knocked out, you need to find the tooth and clean it with water. Don’t use any soaps, cleaners, or abrasive products. If possible, you will want to try to reinsert the tooth. If that’s not possible, you need to keep the tooth moist at all times. Place the tooth in a cup of milk and come into our office right away. Broken Tooth—Often, when a tooth breaks, it’s a very minor fracture, which may not require an emergency treatment. However, if a tooth breaks completely, you will need to call your emergency dentist. While you wait to be seen at the dentist, apply a cold compress to the outside of the face to reduce pain and swelling. Dental Abscess—A dental abscess results from an infection. Severe abscesses are quite painful and require immediate treatment. If the abscess is left untreated, the infection can spread to the bone or into the bloodstream. If you have a dental abscess, you need to call your dentist right away. Lost Crown—Overtime, it’s not uncommon for a crown to come loose. In some cases, you may be able to place the crown back on the tooth while you wait for an appointment. However, if you can’t get the crown back on or if a temporary crown has come loose, you will need to be seen by your emergency dentist to prevent further damage to the tooth. Dr. Friedman is an emergency dentist in Scripps Ranch who is committed to making every smile beautiful. Dr. Friedman understands that emergencies happen, which is why he’s always there for you—even during emergencies. If you have a dental emergency, don’t wait. Head to your emergency dentist in Scripps Ranch right away.